The Run Amok Store will be shutting for a short time while I head off to run the Paris Marathon. Tights ordered by the end of Tuesday 26th of March will be completed before I leave. The store will be closed on the 5th of April and will reopen the 1st of May. Can't find the right coloured crop to match your tights? You can now! 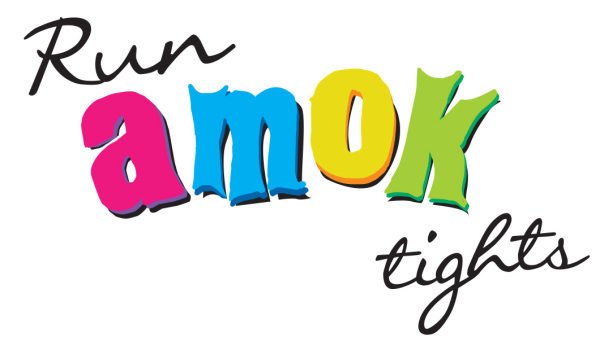 Run Amok Tights is now offering crop tops in a range of colours to match the prints available. Perfect for wearing under that running singlet with the intricate back that's not bra-friendly or loud and proud for those not afraid to bare. Made from Advanced Recycled Vita Xtralife Lycra these tops are firm and supportive. They are lined with Embrace Polyester liner - a soft touch liner that feels great next to the skin. They will cover most cross-back bras.